Welcome to the Social, Personal and Health Education (SPHE) page. On this page you will find information on the SPHE course provided in Mercy Mounthawk. As part of this course, each year, there is an RSE (Relationships and Sexuality Education) module, details of which you will also find on this page. 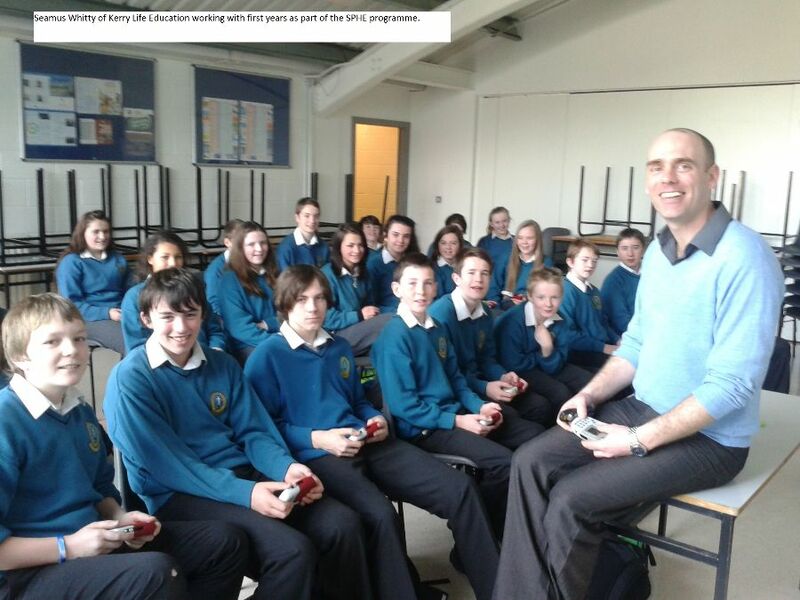 Allstudents in Junior Cycle study SHPE/RSE as part of the WELLBEING curriculum. This course is delivered in 1 classperiod per year over the three years of Junior Cycle. 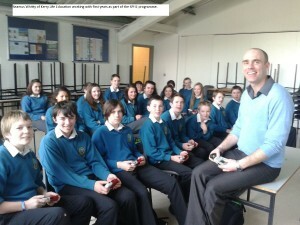 Séamus Whitty of Kerry Life Education working with first years as part of their SPHE programme.